That One Time They Gave Me a Church at 28 Years Old . . . I Can't Even . . .
Millennials dont go to church, much less lead one. Well, maybe most dont. Statistically speaking, millennials are the generation most absent from church congregations across the country. 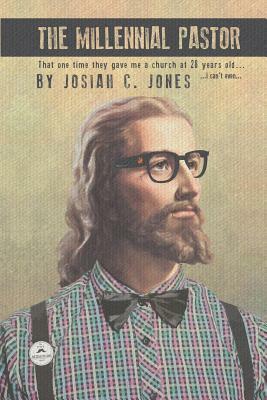 This book is the story of a millennial who decided not to give up on church and instead decided to lead one. The Millennial Pastor is the story of a young pastors first year leading a church, a church that decided it wanted to take a risk and try something new instead of giving up and resigning to the slow decline affecting churches across the USA. Perspectives were challenged, lessons were learned, and in the end, mutual respect and an appreciation were gained across generational boundaries. Josiah Jones is an ordained elder in the Church of the Nazarene. He received his degree in Christian Ministries from Point Loma Nazarene University and started working in full-time pastoral ministry shortly after. He is currently a lead pastor, a husband, father and perhaps most pertinent to this book, a Millennial.